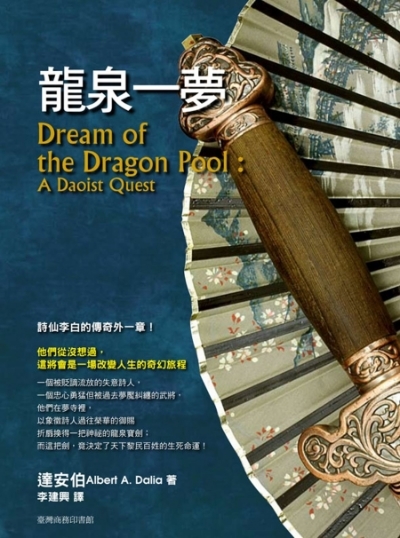 Dream of the Dragon Pool – A Daoist Quest is a multifaceted novel woven around the historical fact of the death-sentence exile of China’s best loved poet-adventurer, Li Bo (also Li Bai, 701-762 A.D.). This is an adventure story of magic, myth, and occult powers written as traditional Chinese-style wu-xia (heroic) fiction. Forced by the emperor’s exile order, Li Bo travels up the great Yangtze River toward certain death in distant Burma/Myanmar. Yet Li, not so concerned by his imminent death, regards his trip as a quest for his lost sense of poetic inspiration. Along the way, he unwittingly befriends the emperor’s most powerful shamaness who is trying to escape from the palace to Mount Wu and serve the mythical Rain Goddess, mistress of that sacred mountain. Li Bo accidentally awakens the dark forces of the Blood Dragon and its ghostly slaves. 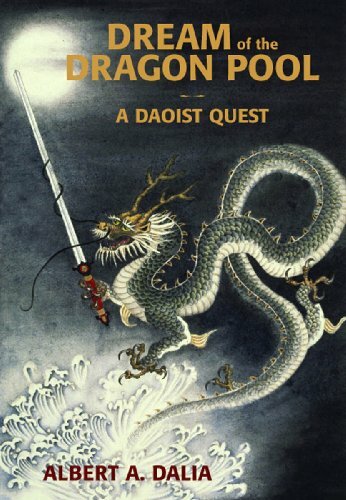 They are in pursuit of a magical sword, the legendary Dragon Pool Sword that Li Bo finds himself in possession of after a dream visit from a Daoist Immortal. The characters, settings, and sensibilities are inspired by the romantic and flamboyant Tang dynasty “tales of wonder” and woven together by the author, a veteran medieval China scholar turned novelist. The author seeks to establish the traditional Chinese wuxia literary genre within English language fiction. There is a striking parallel here with director Ang Lee’s introduction of the wuxia film genre into main stream Western cinema through his breakthrough film, Crouching Tiger, Hidden Dragon. The Chinese edition of Dream of the Dragon Pool. Available in Taiwan. Click on image for link.